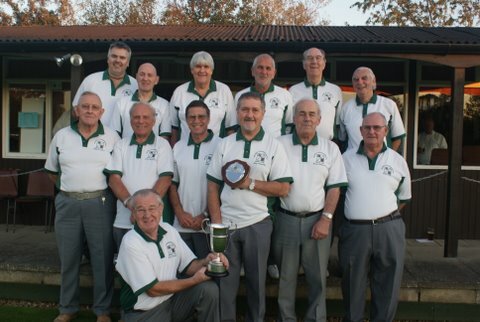 Winners of Mens Division 2 & Over 60's League. A real rogues gallery. 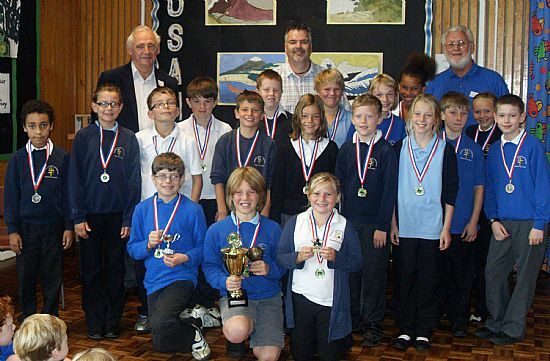 the group of junior bowlers who took part in the 2011 scheme in conjunction with the school. 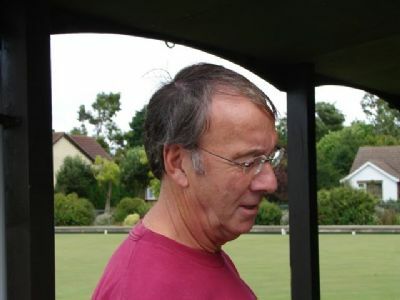 The front row is Murray the eventual winner Liam in 2nd and Annie who finished third. The back row is three 'erberts you all know!! 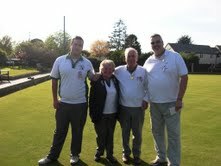 2012 Charity day winning team. pictured from left Michael Blackley, Anne Roberts esteemed president ,Rusty Reedman & Alan Blackley. The day raised over £1000 well done everyone. 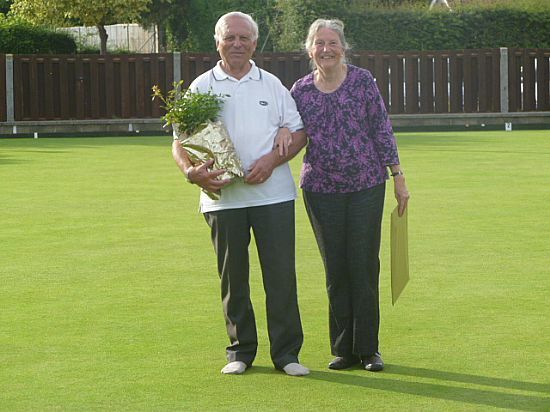 He works tirelessly throughout the year to make sure that our bowls green is always in tiptop condition. we owe him our thanks. we are not worthy. 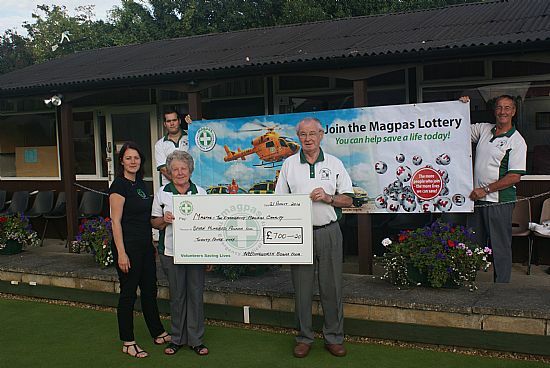 Anne Roberts our esteemed president and Jim Daniel, our equally esteemed captain, hand over the money raised from presidents day to a representative from magpas. £700 don't you know.